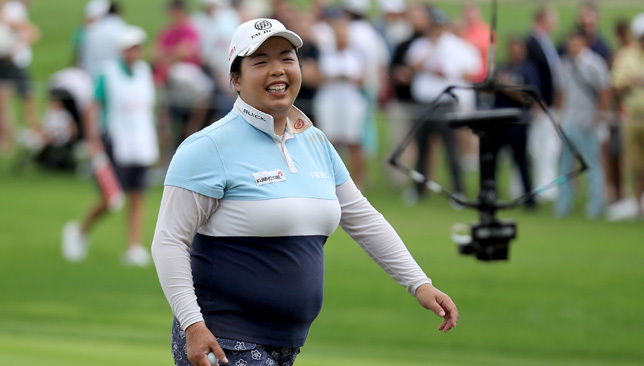 The field’s chances of overthrowing Shanshan Feng as the reigning queen of Omega Dubai Ladies Masters was literally blown in the wind yesterday as the Chinese world No4 marched to her third straight title – and fourth in five appearances – with utmost ease in the end. Things did not look good for Feng after the second round of the tournament reduced to 54 holes as she struggled to get to terms with her putting. Two-under par for 36 holes is not something you usually associate with her at the Majlis course, where she averaged better than five-under par for each round in her previous three wins. However, when she teed up in the morning, the sight of the tree canopy lining the first fairway swinging wildly in 20-25 mph gust lifted her spirit immensely. “I knew it was going to be windy today and I knew that playing in the wind is one of my strongest parts,” said Feng who made four birdies on either sides of the golf course. The 64 was just one short of the course record, and only one of three rounds in the 60s yesterday. It took her tally to 10-under par, two shots better than the second-placed Charley Hull of England, who was equally sizzling in posting a bogey-free seven-under par 65. 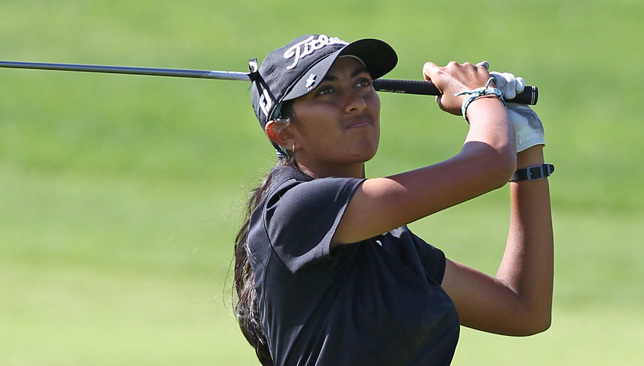 India’s 18-year-old phenomenon Aditi Ashok continued to superb run of form, finishing tied third at six-under par alongside England’s Florentyna Parker. This was the seventh top-10 finish for her in eight starts since the Olympics. Overnight leader Felicity Johnson, collapsed after a brilliant start that saw her birdie the second and eagle the third, slipping to tied seventh place at four-under par following a 75. In all her previous wins (2012, 2014 and 2015), Feng won while leading by five or more shots going into the final round. But she had the wind, and her putter – which finally started to behave – to thank. “I think if there is strong wind, the quality of shots are pretty important and I think that’s what I’m good at. My ball-striking most of the time is pretty solid and I can control the trajectory in the wind. I know that it will actually bother the other girls a lot,” said the Guangzhou native, who made four birdies in a row from the second hole onwards, and then three from the ninth hole. “I didn’t play super well the first two days as my putting was kind of lost and I’m very happy that I was able to putt well today and make a lot of birdies. The 21-year-old Hull also got off to a fine start, making four birdies in her first six holes. “It is a good way to end the year. So it was fun,” said Hull. “I am (kicking myself) that I wasn’t able to concentrate the first two days. But I kind of woke up today. 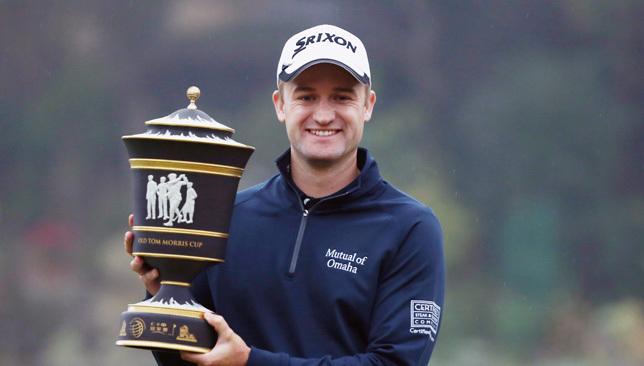 Last week, without doubt, was a big deal for world golf. Tiger Woods made his comeback to competitive golf, and even though there wasn’t a fairytale win in his first outing after 16 long months, finishing 15th at the Hero World Challenge was way beyond everything that was expected of him. A majority of fans, and critics, expected to see a rusty Tiger – one that would struggle to chip (there were stories that he delayed his comeback because of chipping yips) – backing away from difficult shots and who would not possess the desired clubhead speed while hitting his shots because he was still trying to protect his back. Obviously, Woods himself did not help matters. He had pulled out of Safeway Open saying his game felt “vulnerable” at that point, and he then went about re-branding his business to TGR and saying he was entering the “next chapter”. That was enough to fuel speculation that the 14-time major champion was already looking at life after golf. But the Woods that turned out at Albany Golf Club was one that raises visions of an exciting 2017. It was vintage Tiger, really. He was ripping it down the fairways, he was chipping in and fist-pumping and he was pouring in putts from distances that we were so used to seeing. Of course, he made a lot of mistakes too. Six double bogeys hurt his chances badly, but the exciting part was the fact that he most the most number of birdies in the tournament – 24, which was three more than champion Hideki Matsuyama. Going forward, two things will be key for Woods – his schedule in 2017, and the equipment he chooses to use. It was clear that Woods was not the most comfortable with his Nike Method 001 putter, and the moment he was allowed to switch his clubs, he reached out for his trusty 1996 Scotty Cameron Newport, and the Newport 2 GSS, the putter with which he won 13 major titles. This could just be the perfect opportunity for Woods to assemble a set that he is most comfortable with. He really doesn’t need the money from a massive equipment deal, and with Nike shutting down its equipment business, this is his best chance to do that. Secondly, Woods needs to prepare a good schedule – one that lets him play more events and yet gives him the chance to allow his body to get enough rest. By his own admission, Woods said he requires almost two to three hours with his physio to wind down after a day’s round. There is a distinct possibility he could be adding either the Abu Dhabi HSBC Championship or the Omega Dubai Desert Classic to his schedule in 2017. If it happens, there could be no better start to the new season. 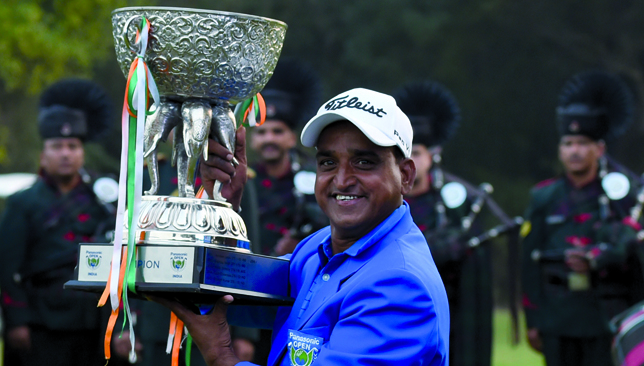 On Sunday, India’s Mukesh Kumar finally broke through on international scene, winning the Panasonic Open on the Asian Tour. It was the 123rd career title for the 51-year-old, who became the oldest winner on the Asian Tour. Those other 122 wins all came on the domestic Indian tour, where he has been a force to reckon with for the last 32 years. When I was working with the Indian Tour as its media manager, I once had a very interesting conversation with Mukesh, who hails from a small central Indian town called Mhow. That’s when he revealed the secret of his success. Mhow is an army cantonment town and has a small non-descript golf course. Mukesh spent his childhood, hitting balls at the driving range, which he said had no grass, and the dirt was full of small stones. Every now and then, the club would jar his hands violently. Mukesh became so good playing in those conditions; he now counts his blessings whichever golf course he goes and plays now. 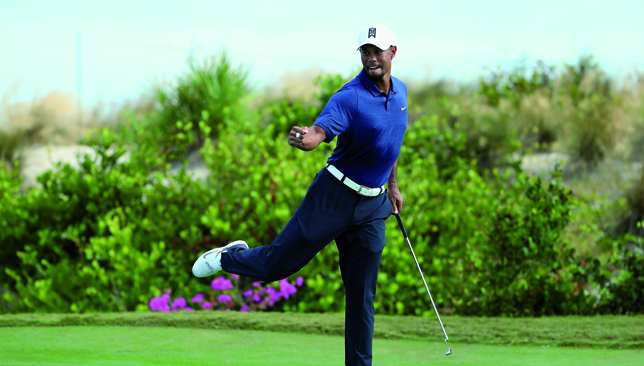 “The first time I hit shots from a patch of grass, I thought it was the easiest thing to do. “Today, whenever I play on a good golf course as a professional, I consider myself lucky. At least I won’t injure my hands,” he explains. – Fellow competitor Russell Knox, after he saw Tiger’s name on the leaderboard on the opening round of the Hero World Challenge. – Woods’ agent Mark Steinberg on the interest shown by global sponsors and organisers in his client after a successful comeback.